This is a story about the man and me. It's a little story, but it's a special one to me, and one I hope I will always remember. And so I think it's time to write it down. 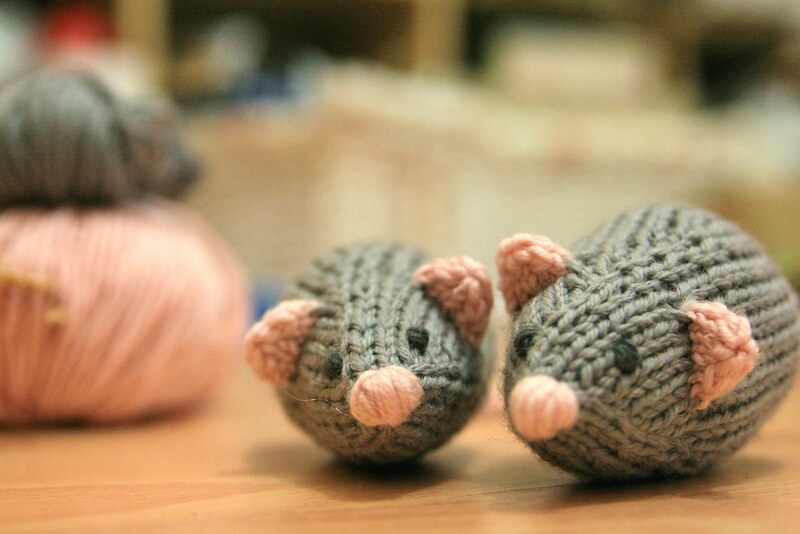 It is a story of two mouses. It began innocuously, as these things usually do. One November evening back in 2012 found the two of us pounding the walkway around Ikea looking for shelves. The man had just moved into a new flat and the last few evenings had found us both to-ing and fro-ing in a van, loading and unloading boxes, and slotting various miscellaneous bits of wood into other miscellaneous bits of wood in the hope that it would turn into furniture. So that November evening as we trudged around the store, we were both feeling a bit world-weary. We rounded a corner and ran into a harassed-looking couple who were disputing the merits of one storage solution over another with a distinct lack of enthusiasm. A small girl hopped around their feet desperately trying to get their attention, chattering away. The more she was ignored, the louder she became. And she repeated at ever-higher volume in a piping little voice: "I have TWO mouses!" And indeed she did! Clutched one in each fist, were two little soft toys. Their noses poked out of her little hands, and their tails dangled behind them and she waved them around ever more excitedly. It was as though she couldn't quite believe her luck. Not just one soft, mouse-toy, but two! One grey, and one white. And how I laughed! This little girl cheered me up tremendously! I have no idea if she eventually managed to engage her parents' notice, or if she was going to be allowed to keep her two mouses. I sincerely hope she did. But I remember her sheer glee at the prospect and it still makes me giggle. We spent the rest of the evening exclaiming to each other "I have TWO mouses!" at intervals, and chortling to ourselves. We abandoned Ikea, the man resigning himself to a trip the following day when he had more energy, and headed home. A few days later, I was back at the man's flat again. He had indeed acquired and assembled some shelving and his place was starting to look like a home. His return visit to Ikea had proved profitable. But it also turned out to be profitable for me too. As nestled in a camping chair - no sofa yet - waiting for me were two soft toy mouses. One grey, one white. Two mouses has become our phrase, like a touchstone. It crops up all the time and never fails to make me grin like the little girl, never fails to make me think of the man. And I can cuddle my two little mouses and smile to myself. Recently the man bought a car. He'd been chewing over the idea for a while, and eventually found what he want. 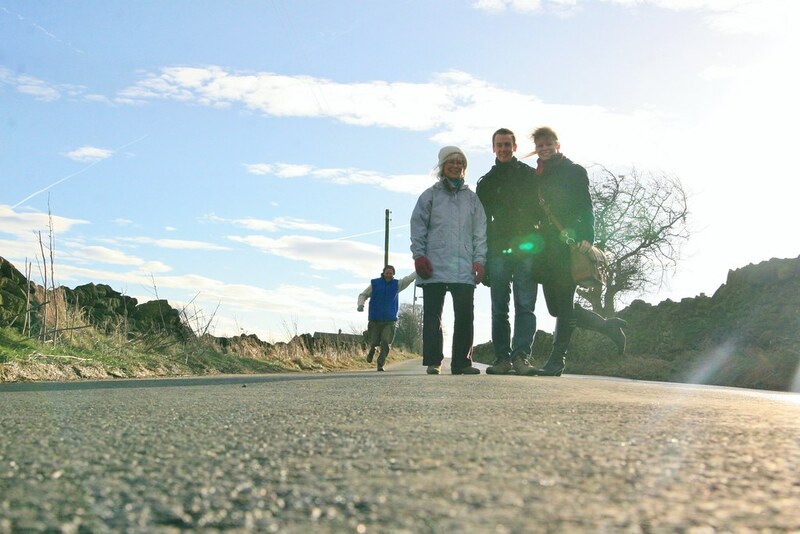 And as a surprise he added me to the insurance, which was a lovely gesture as I don't have a car at the moment, and I do really enjoy driving. He claims he only did it so that he didn't have to do all the driving, but I know better! I thought I could get him a car accessory as a little thank you, but somehow I couldn't picture the man with a fluffy steering wheel cover. Frankly I can't picture myself with a fluffy steering wheel cover. Ditto fluffy dice to dangle from the rear-view mirror. Then it hit me: not dice. Mice! I could give him two mouses to hang up in the car. 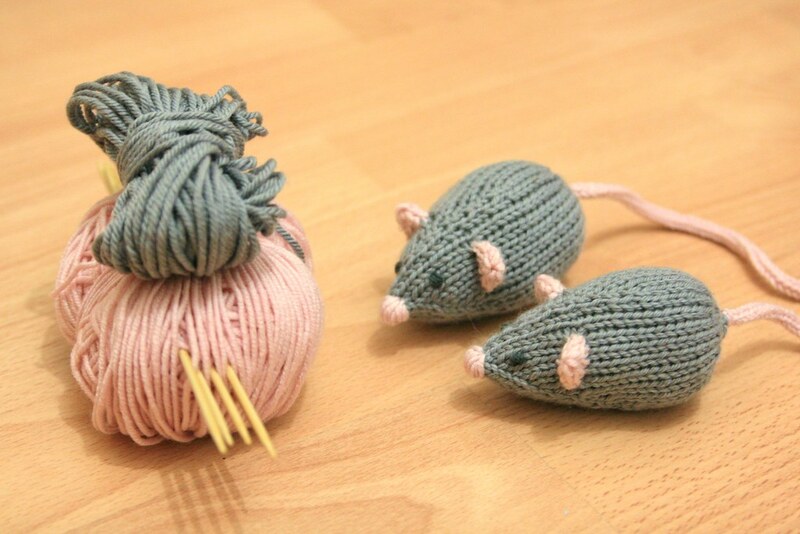 I did a bit of research (as in, I opened up google) and quickly found a knitting pattern to make cute little mouses. 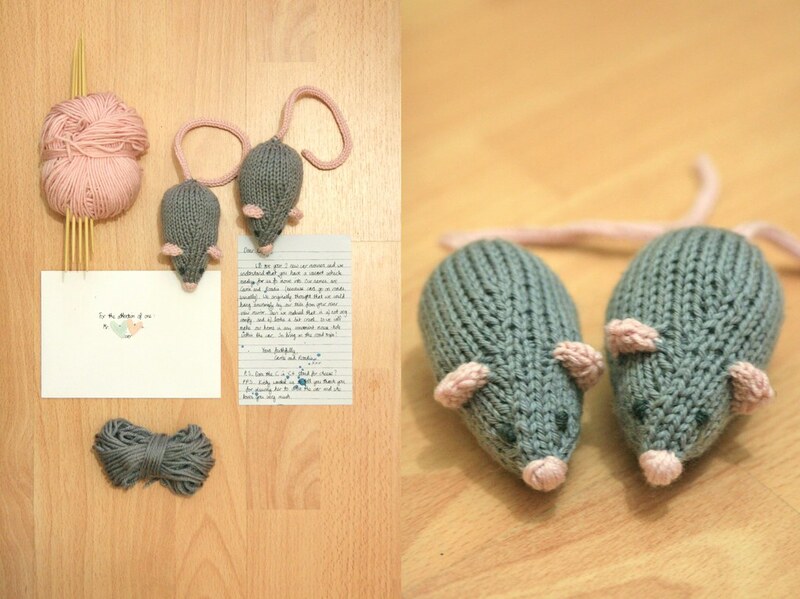 I began knitting one afternoon, and by bed time I had made two mouses with lovely long pink tails t hang in the car. 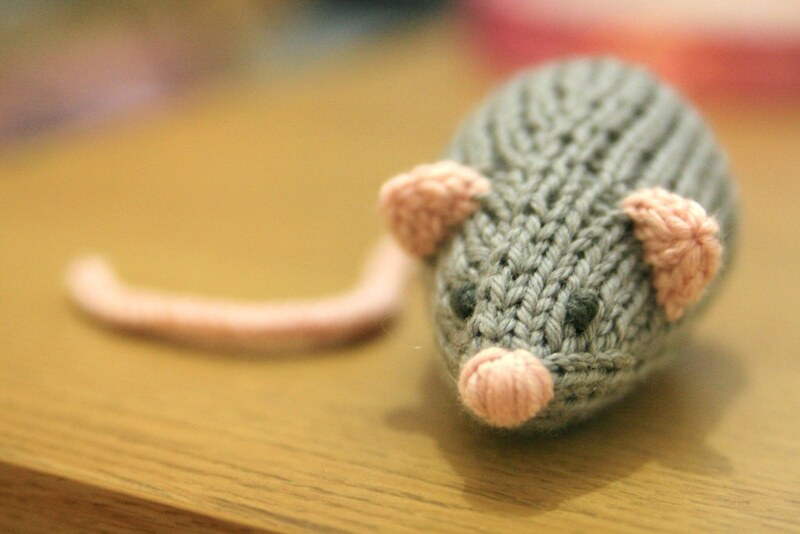 I experimented a bit, and soon realised that hanging the mouses up by their tails looked a bit cruel. 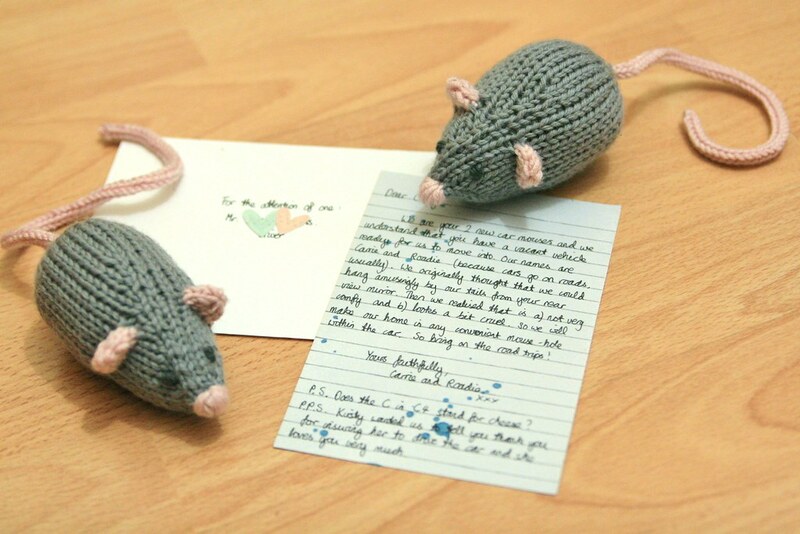 So when I gave them to the man, I included a little note to explain that they would be perfectly happy curled up in any available mouse-hole in the car ready for road trips. I named them Carrie and Roadie. Because cars go on roads. Hopefully. Now he has TWO mouses too.